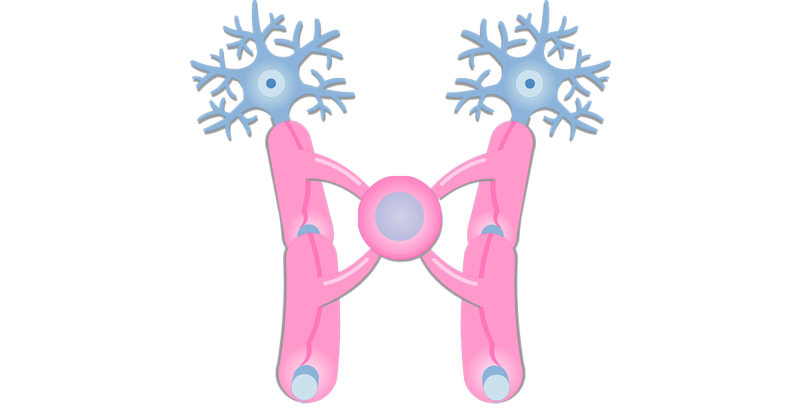 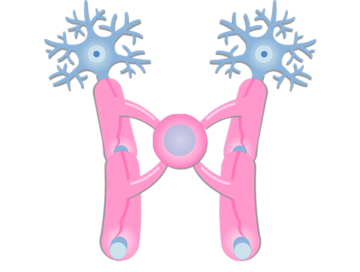 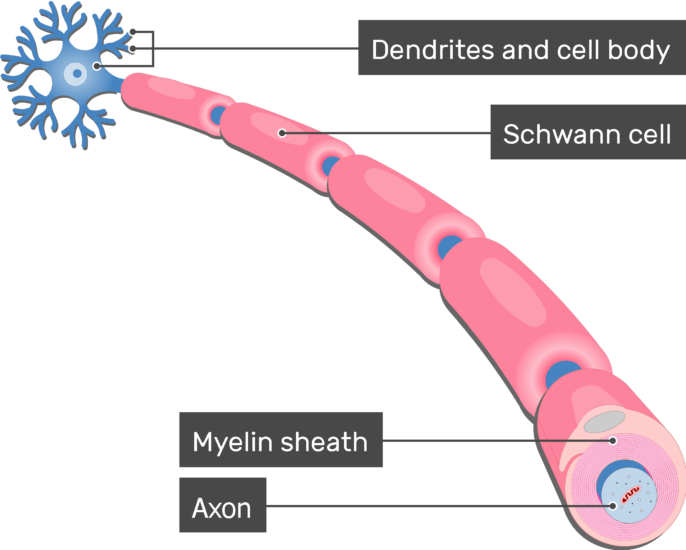 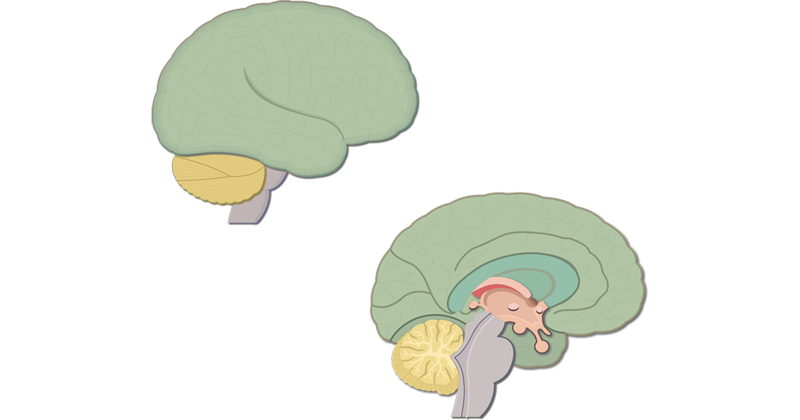 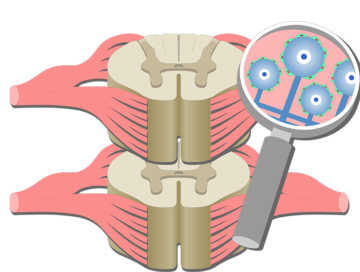 Each Schwann cell myelinates only a small portion (0.3 mm to 1.5 mm) of an axon. 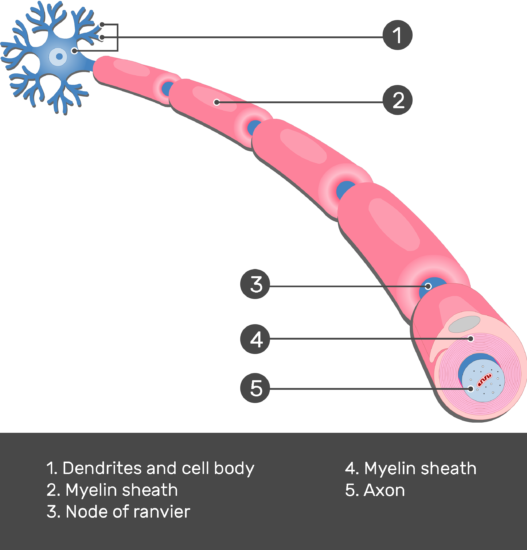 The minute gaps that occur between adjacent myelin sheaths are called nodes of Ranvier. In these areas, the axon is exposed to the surrounding environment and proteins embedded in the plasma membrane can produce action potentials (electrochemical impulses). Thus, when action potentials travel down a myelinated axon, they appear to jump from node to node. 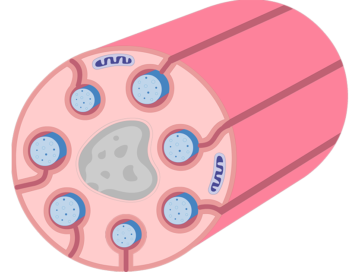 This process is termed saltatory conduction, and it is used to transfer information quickly, such as to and from the skeletal muscles.